Neon Energy, a leading global provider of green energy solutions, has partnered with Dubai’s Al Fajer Group to provide affordable integrated solutions in the renewable energy and energy efficiency sectors. The Al Fajer Group is headed by Sheikh Hasher Maktoum Jumaa Al Maktoum. Al Fajer Neon Energy will operate in the renewable energy and energy efficiency sectors to support the development of clean energy projects in the UAE. In the renewable energy segment, the company will practice the “think green” philosophy in the field of Photovoltaic (PV) Solar Energy solutions. In the field of energy efficiency, Al Fajer Neon Energy offers a wide range of integrated solutions to replace conventional lighting systems with new, energy-efficient, high quality LED products which are supplied on a fully financed basis, enabling its customers to repay for the equipment exclusively from their savings on their electricity bill. These LED lights can save energy up to 95 per cent, besides which, they have a number of other key features including, high colour rendering index, low maintenance cost, low heat emission and longer life span, said a press release. “Al Fajer Neon Energy builds, installs, finances and maintains high quality solar systems and energy efficient equipment such as LED lights. 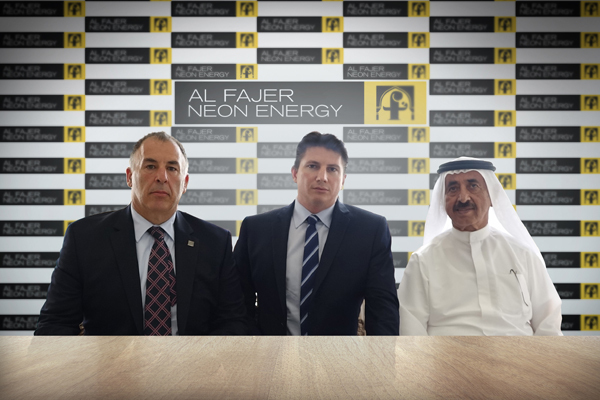 With the mission to provide an integrated and holistic service, Al Fajer Neon Energy takes full responsibility at every project stage in order to deliver turnkey high quality energy solutions,’’ added Gianniotis.